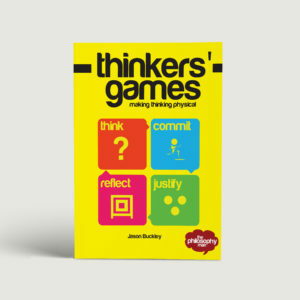 This week, two examples of a Traditional Tales resource to explore the philosophical potential of this area o our curriculum. We know who wrote Harry Potter, and when, and where. However, the origins of ‘Traditional Tales’ are less clear-cut. They’re told and re-told, and passed from generation to generation. They often spawn new interpretations along the way. And depending on where we are in the world, the tales we tell our children will differ. 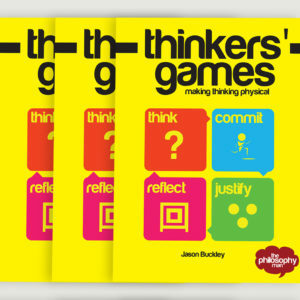 Get pupils to deconstruct the idea of a ‘Traditional Tale’ using the Thinkers’ Game ‘Concept Cake.’ This asks pupils to decide what ingredients are needed for a concept to be realised. Just as flour is needed to make a cake, what ingredients are needed for a Traditional Tale? First, give small groups this set of cards. Download them either by clicking the image. …and ask them to separate the cards into those which are needed to make a Traditional Tale, and those which aren’t. To make their choices distinctive, you could give them a skipping rope to create an ‘in’ circle. They could also create their own cards for missing ingredients. The ‘in/out’ task creates more challenge than placing them in an order of importance. You could ask them if any of the ingredients are ‘must-haves’ – without which, something cannot be a Traditional Tale. In philosophical terms, these are called ‘necessary conditions.’ If they can come up with a counter-example of a Traditional Tale that lacks one of these ingredients, then it can’t be a necessary ingredient. 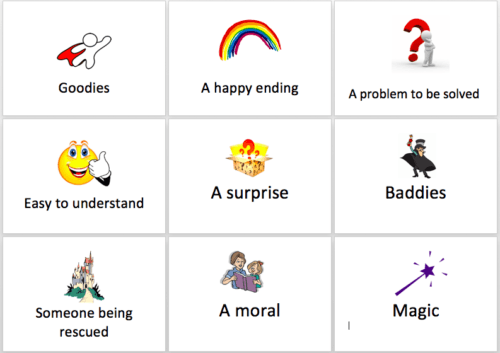 For instance, when I ran this last week, one child suggested that “Traditional Tales don’t need baddies, because Goldilocks doesn’t have a baddie.” Cue a fiery exchange on whether Goldilocks was the baddie! This is an example of how an enquiry can begin organically from the activity. You could also begin a discussion by highlighting differences in the groups’ decisions. Or, using a technique I often use to move on from card sort activities, get each group to nominate their most contentious card, followed by a vote for which to discuss. You can model this process for pupils, and get them to find the paired concepts, before letting them create questions from. 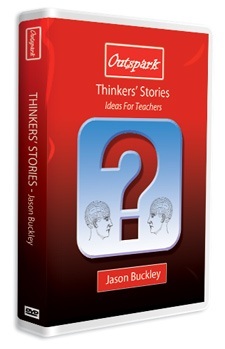 Alternatively, for a quicker start, do it yourself in advance and offer them a choice of questions. I’m often keen to move away from ethics/empathetic questions, as pupils are asked so many in their other subjects. So on the course, my partner and I focussed on Fantasy/Reality, coming up with: ‘If Cinderella had turned back the clock, what would have happened?’ which could open up talk about the nature of time itself. Our mini-books have always been incredibly well-received. Their A2 size, simple format and concise wording make the ideas easy to digest, and simple to deliver. Our latest one. 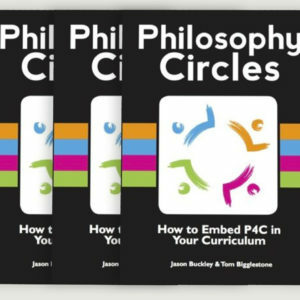 Philosophy Circles: Embed P4C in Your Curriculum, is the handbook to all our courses, and it’s also an excellent introduction to the method in its own right, so we’ve added it to our Shop for only £2.50. 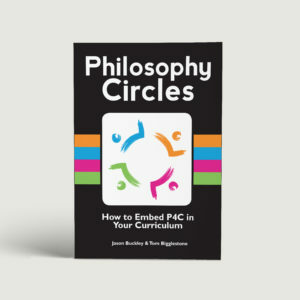 The approach is the distillation of eight exciting years doing philosophy with children and teachers, and the mini-book explains our three key principles to embed philosophy in your lessons. 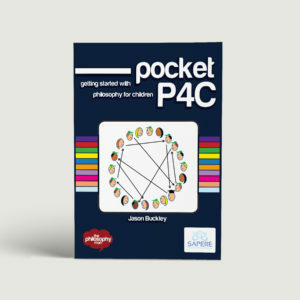 It comes with a free support download so you can start straight away.